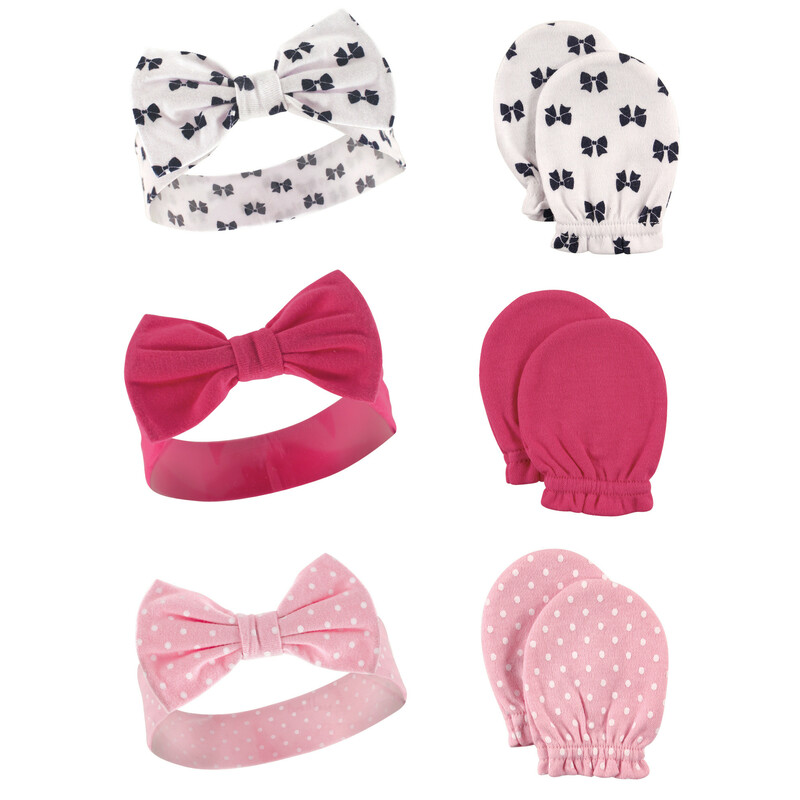 Hudson Baby 6 Piece Headband and Scratch Mitten Set comes with 3 headbands and 3 scratch mittens. Headbands are a fun accessory for your baby girl! 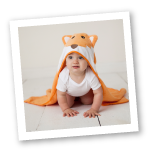 Designed to grow with the baby, they are 92% Cotton and 8% Spandex. They should fit until about 24 months. Scratch mittens are made for little hands between 0-6 Months. With elastic wrists and super soft cotton fabric, these mittens should stay on and protect your little one's face and body from any accidental scratches.